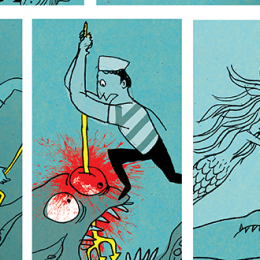 Dominic Newton is a extravagant raconteur, composer and musician. 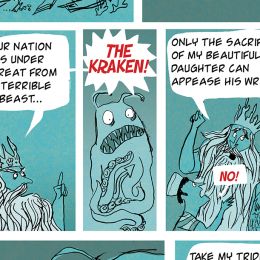 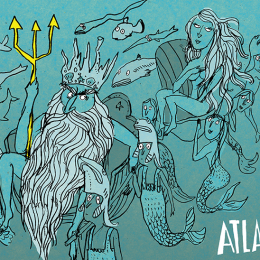 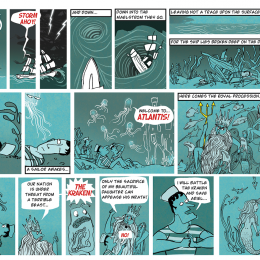 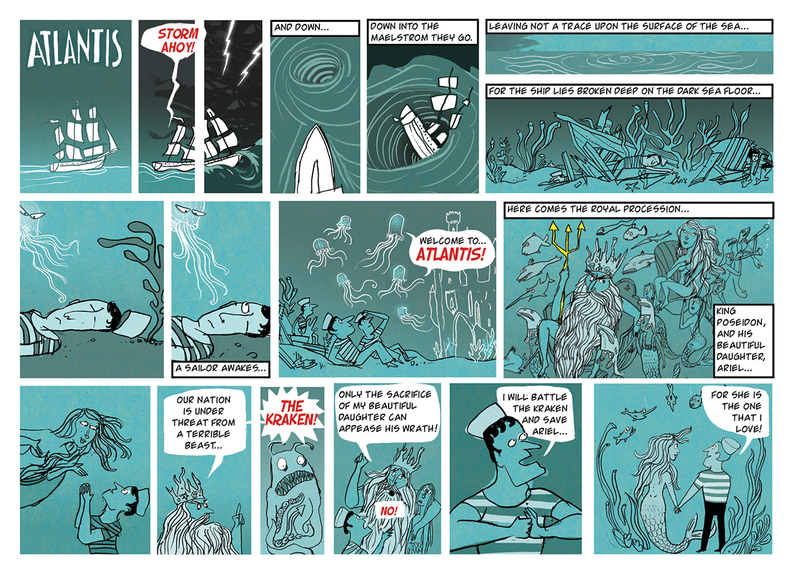 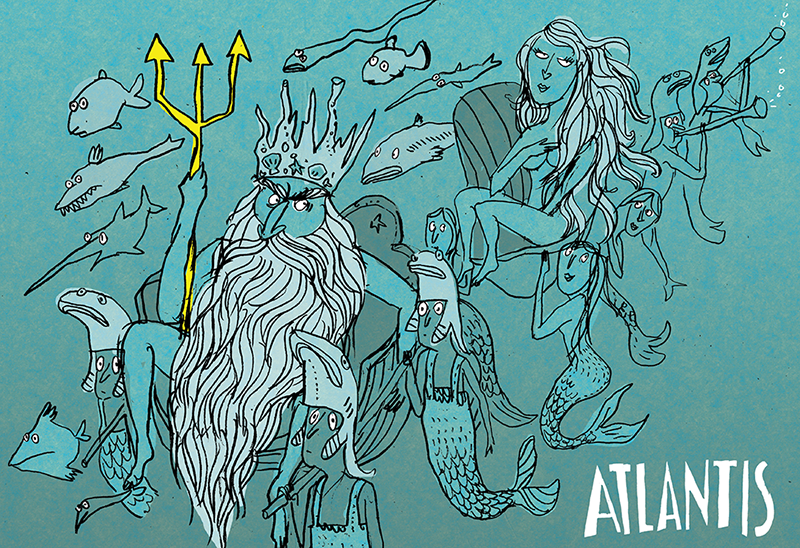 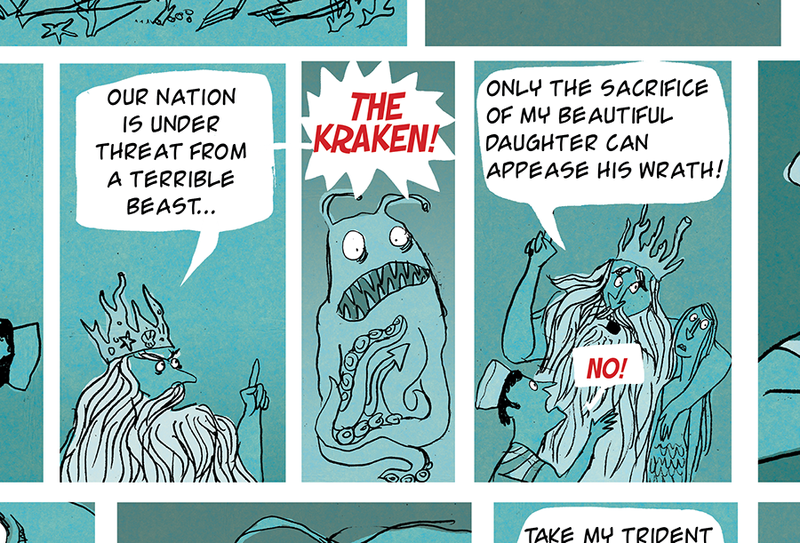 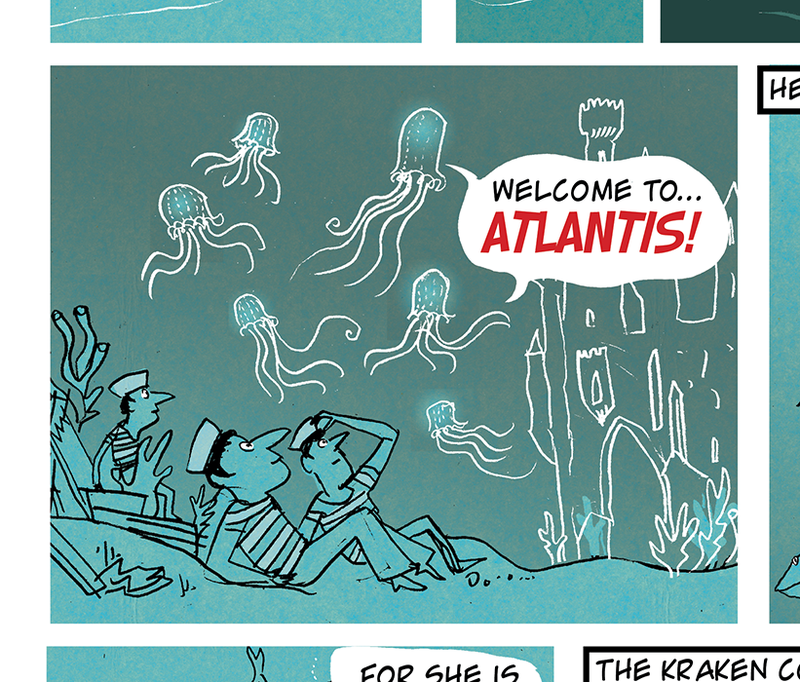 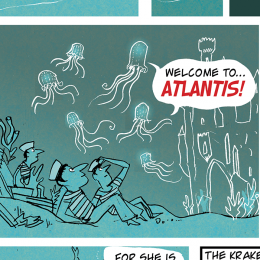 We collaborated on a comic strip to accompany his latest camp aquatic rock opera, Atlantis. 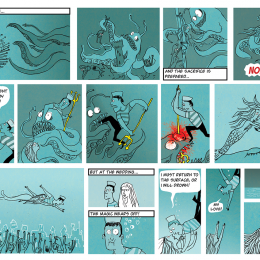 A gripping tale of boy meets girl versus Leviathan- can the romance of sailor and mermaid survive the terrible Kraken? 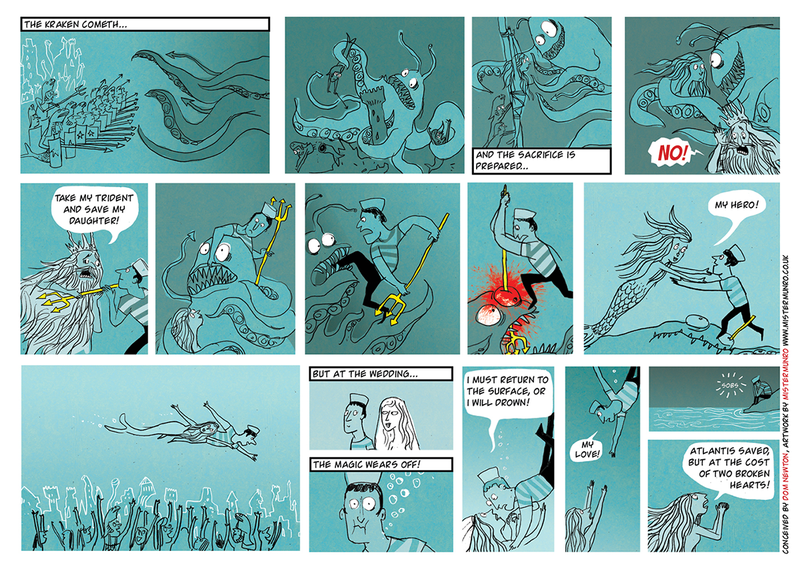 The concert was a riot of jellyfish, guitars and vintage horror, listen to the full album here.